Along with my fun with achievements last night, I also earned my 11th "Feat of Strength" - Big Blizzard Bear. And boy is he big. I can't get through any doors with him and that murloc on the front just needs to be punted away. 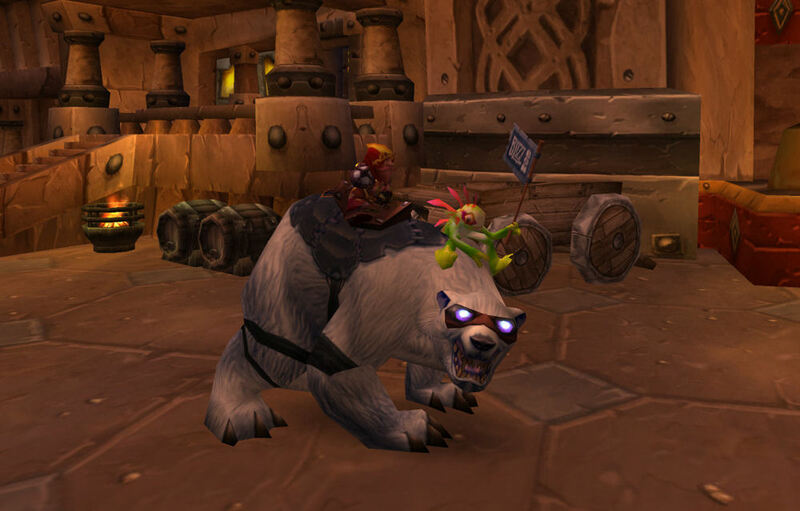 I have to say though, despite the murloc, he looks pretty darn cool. A couple of nights ago, I also put all of my pets into my own personal zoo and was rewarded by Breanni, my favorite gnome vendor, with Stinker. 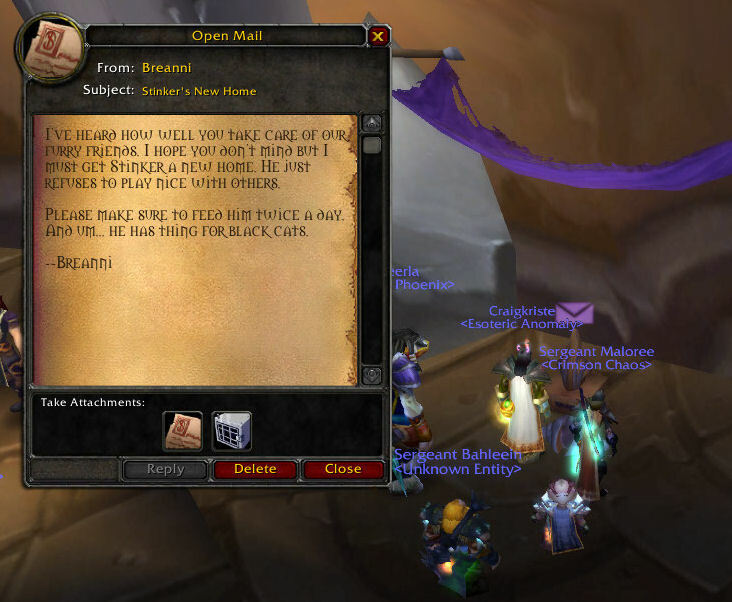 Unfortunately, I forgot to pose with him, but here's the wonderful letter Breanni wrote to me.